Offering you a complete choice of products which include forged parts. 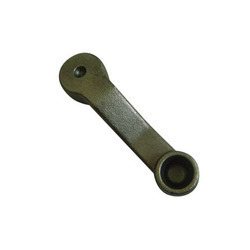 Being a notable industry, we offer Forged Parts to our valuable clients. These find their application in varied industrial sector. Our extensive range is highly flexible, durable and compatible with other equipment. We offer them in different finishes. We are proficiently occupied in providing a quality certified items to our customers. Backed by our team of highly skilled workers, we successfully deliver products to our clients. Our quality experts carry out strict quality check to ensure the functioning and performance of the product in compliance of set industry standards.